Browse and buy from the wide range of secondhand books on sale, or become a bookseller yourself. 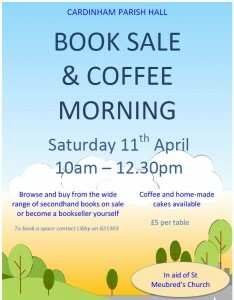 Coffee and home-made cakes available. 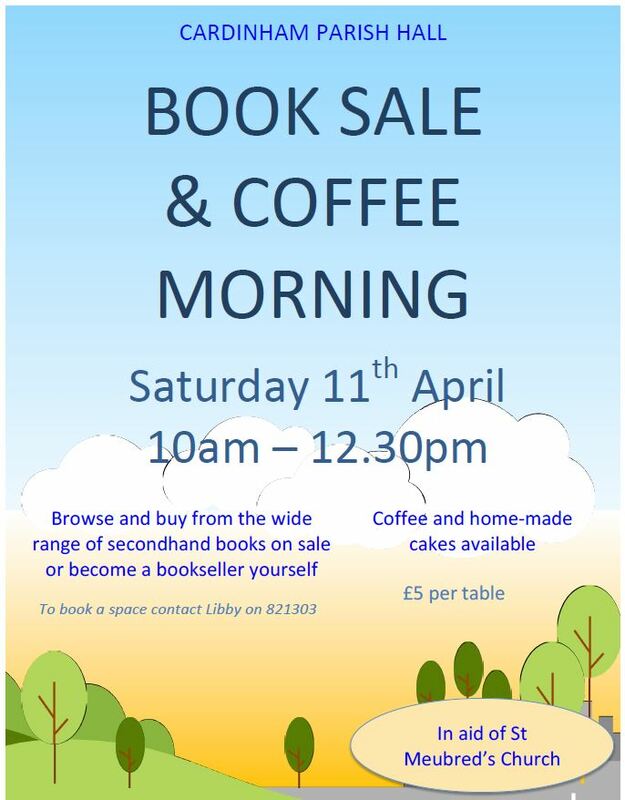 In aid of St Meubred’s Church. To book a space contact Libby on 01208 821303, £5 per table.